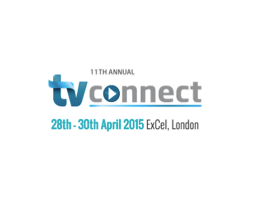 London, April 14, 2015 – TV Connect, the world’s leading connected entertainment event, today announced the results of the Connected100 Survey, which reveals that data-driven video services will help tailor the consumer experience and open the door for programmatic TV advertising. Video services are also expected to enable end users to publish User-Generated Content that will become an integral part of the content offering, enabling consumers to act as content editors. 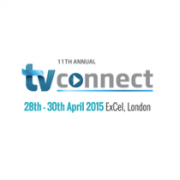 The Connected100 research is a global survey enabling key players in the TV and media market to share their views on the future of the connected entertainment industry. The research, led by the Connected100 research group, comprises some of the most experienced and forward-thinking minds in the telecom, broadcast and over-the-top industries. The survey reveals that 4K (77.5% of respondents), TV Everywhere (70%) and Over-the-Top (87.5%) will remain key drivers of innovation, while linear broadcast (only 7.5%) will slowly lose to personalised TV services accessed via the cloud or on connected devices. Big Data, the Internet of Things (IoT) and short-form digital video will also enable the content industry to offer services tailored to end users’ viewing habits and preferences.